Is a split America the result of the Great Recession? 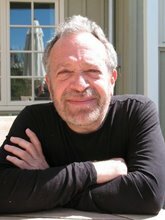 Robert Reich thinks so, and has been arguing this for a while. Income divergence has been growing, but the 2008 crash cracked it wide open. We have two economies. The first is in recovery. The second remains in a continuous depression. The first is a professional, college-educated, high-wage economy centered in New York and Washington, that’s living well off of global corporate profits. Corporations continue to make money by selling abroad from their foreign operations while cutting costs (especially labor) here at home. Wall Street is making money by taking the Fed’s free money and speculating with it. The richest 10 percent of Americans, holding 90 percent of all financial assets, are riding the wave. And their upscale spending has given high-end retailers and producers a bounce. Is this true? If so, does the current American political party structure map onto this divide usefully? Neither the Republicrats nor the Demopublicans address the reality of this “class divide” because they benefit from being part of the more privileged class. This article about the true unemployment stats demonstrates how the mainstream media conspire with the politicos to cook the numbers and hide reality from us teeming masses.